Welcome to Texas Dental in San Antonio, TX! Texas Dental is a family-oriented dental practice. We provide a full range of dental care from routine preventive care to cosmetic makeovers. We offer everything from exams and cleanings, crowns, dentures, and root canals to veneers, whitening, and orthodontics. We even provide start-to-finish dental implants in-house, so you don’t have to drive to multiple offices to restore your smile. We want to welcome you to our dental family. As each and every person is different, it stands to reason that their dental care needs would be, too. 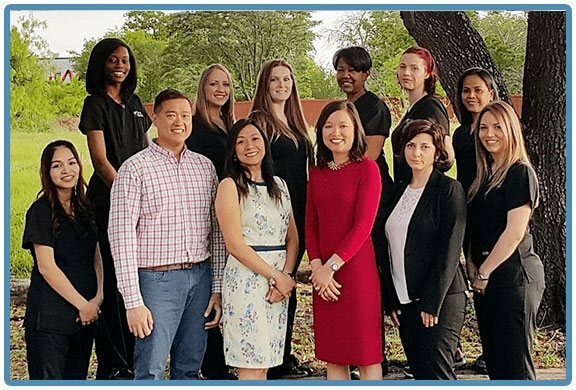 Our team takes the time to get to know you, your history, and your needs before creating a dental treatment plan that is tailored to your smile goals. We want you to love your smile, and with our help, we know you can!